Beast Kingdom's all new D.A.H. 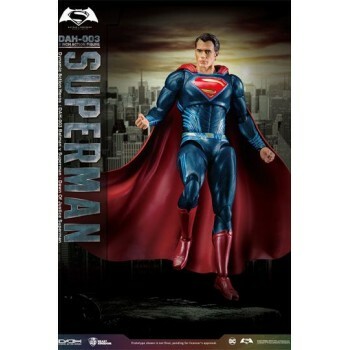 (Dynamic 8ction Heroes) series introduces the famous DC Man of Steel, Superman. 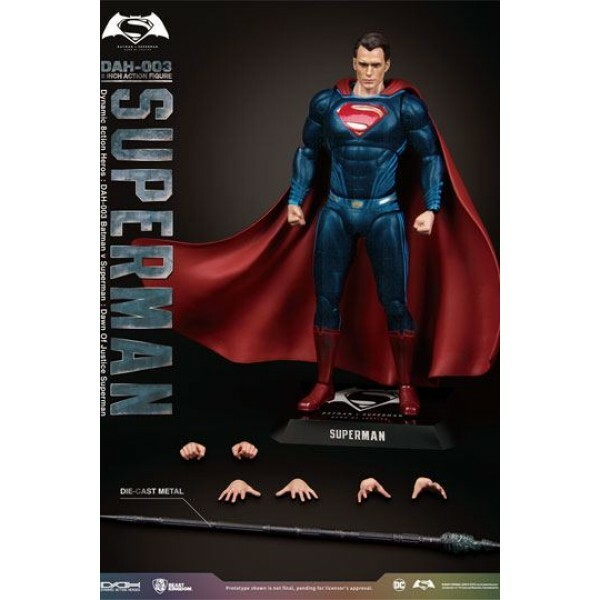 A proportional figure based on Batman V Superman: Dawn of Justice, this figure has 30 movable joints, allowing players to recreate any number of classic poses. 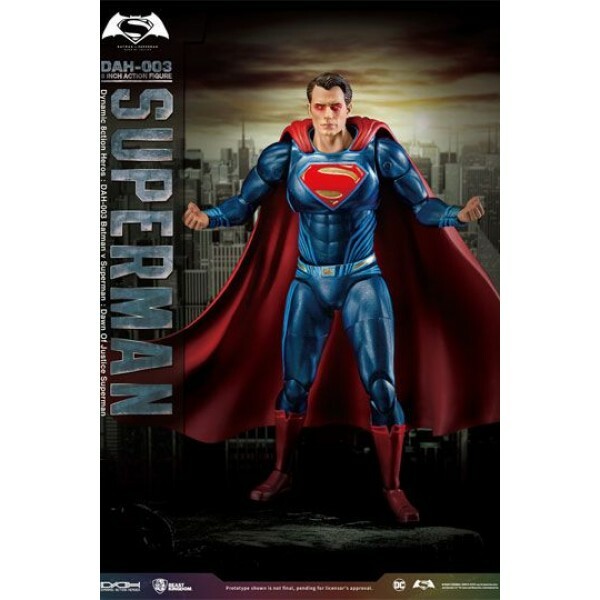 With a highly realistic exterior design, and fine professional painting, we completely recreate the great looks of Henry Cavill's Superman, his muscular physique, and his entire costume, cape included. 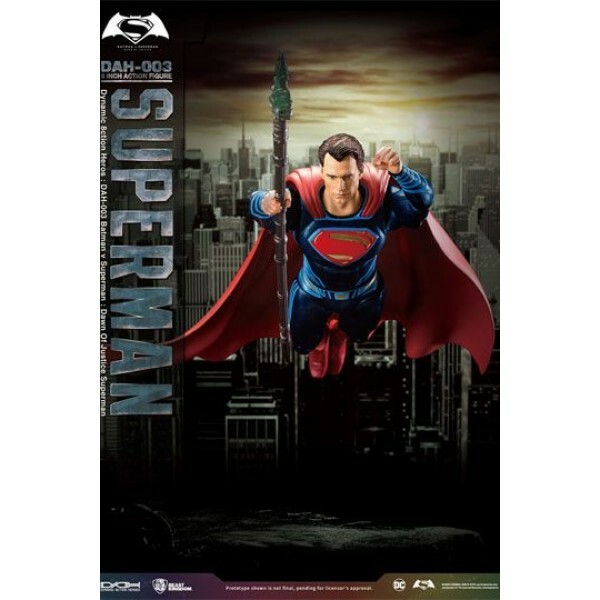 A kryptonite spear is also included, which is made of diecast material. This classic hero has a different sense of justice from Batman! You can?t miss Beast Kingdom's D.A.H. series Batman V Superman: Dawn of Justice-Superman.